Does your family have specific traditions or religious practices that should be included in the funeral services? At Lynch Conner-Bowman Funeral Home, we often work with families who have specific needs to honor family culture and tradition. Our team has experience helping families of all backgrounds with funeral and cremation services in Roanoke, VA.
You’ll find that we offer the highest level of respect for your wishes and family culture. Our team recognizes that one funeral plan doesn’t work for every family. So, we strive to offer custom, unique results based on your requests. You can have confidence in knowing that we honor your wishes and provide a safe, supportive environment where you can create a beautiful event to share with your loved ones. Whether you are looking at options for contemporary funeral services or you are interested in a traditional event, you are invited to contact our team at Lynch Conner-Bowman Funeral Home. We offer a range of services that can be easily catered based on your needs. It’s easy to get started. Just call us to schedule an appointment for a consultation with a local funeral director. One thing that you will find is that we are working hard to maintain our reputation as the best service provider in the area. Not only is it important to showcase a life full of memories and accomplishments. But we also want to be sure that we are supporting the needs of the surviving family members as well. When you choose Lynch Conner-Bowman Funeral Home, you have the opportunity to work with a trusted company that specializes in funeral planning. We design each event with the focus on optimal satisfaction for your family. It is common to experience difficulty in the decisions that need to be made, and we are here to help in these stressful times. Your burden will be lightened because our team will handle the heavy lifting for funeral planning. This process begins with the first phone call you make to our team. From that moment, you will receive undivided support and attention, ensuring that you can create services that honor the needs and desires of your family members. We always listen to preferences, traditions, and details about the program. This information is used to create a beautiful, memorable memorial or funeral for your loved ones. Is Cremation the Right Choice? One detail that makes Lynch Conner-Bowman Funeral Home unique in the industry is that our company owns the first crematory in the county. We created the facility because we saw a need to support the desires of families who wanted to choose cremation. Before our crematory was built, it was necessary to send the remains to another company for the cremation to be done. Now we can offer the promise that your loved one will stay in our care. We provide basic cremation without other funeral services. Or, you can pair the cremation with any funeral package that you desire, including a viewing, memorial, graveside services, and more. Your satisfaction is our goal, which is why we provide many options for funeral and cremation services in Roanoke, VA. It will truly be a unique event when you are working with us at Lynch Conner-Bowman Funeral Home. You don’t need to feel the pressure of sticking with a traditional funeral plan. Instead, discuss your preferences with us so that we can create an event that supports the desires of your family. 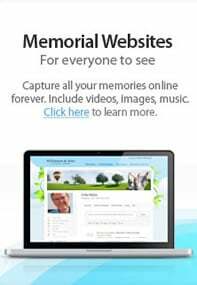 Cost: Compare the price of cremation with the cost of a casket, burial plot, cemetery services, embalming and more. It’s easy to see that you can save thousands of dollars by choosing cremation. Simplicity: Some families find that funeral planning is a stressful experience. If you are looking for ways to reduce your burden, then you might choose the simplicity of direct cremation. Tradition: Certain religions and family traditions include the practice of cremation. We will support your traditions and desires. Let us know if any religious ceremonies should be included with these services. Flexibility: You can choose to bury cremated ashes in the cemetery. You also have the flexibility to choose another location if desired. Talk to our team about your options.